New Jersey Gov. Phil Murphy. TRENTON — State government workers would get 2 percent raises annually and the state would save $70 million in health benefit costs under a four-year, $120 million labor contract that Gov. Phil Murphy unveiled Thursday. The first-term Democrat announced the deal with the Communication Workers of America, representing 32,000 workers, on the heels of his second budget plan, which finances about $1 billion in new spending with roughly $1 billion in savings from worker health benefits. Murphy is trying to sell legislators on his $38.6 billion blueprint. 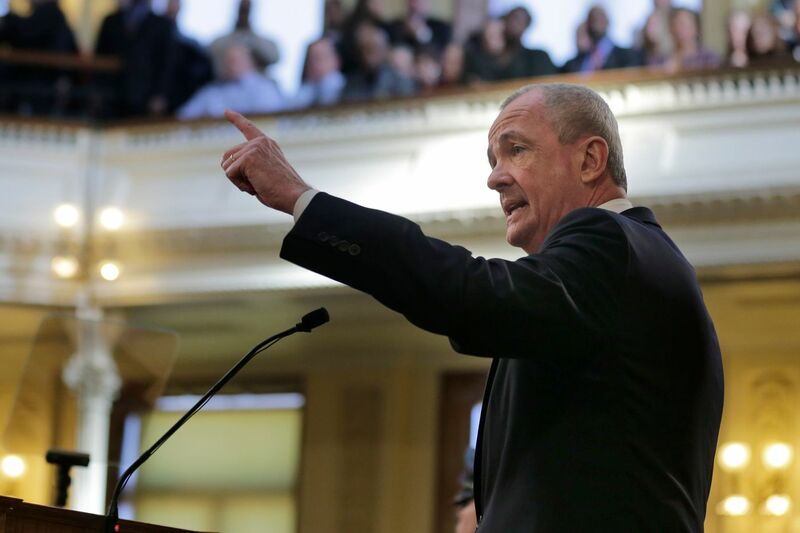 Murphy cast the labor deal as a contrast with the approach of his predecessor, Republican Chris Christie, who notably clashed with unions and allowed contracts to lapse. "Together, we're turning the page from the failed approaches of the past toward a new chapter of mutual respect and dialogue with our workforce," Murphy said in a statement. The contract, subject to worker ratification, would run from July 1 through June 30, 2023. The savings in changes to health benefits would primarily affect reimbursements to out-of-network providers. It’s the second such contract that Murphy brokered with the CWA. He agreed in May to a retroactive four-year deal for $150 million that offered 2 percent raises as well. The governor also reached a four-year, $34 million deal in July covering about 6,500 workers and including 2 percent raises. Those deals did not include the same kind of savings that Murphy announced Thursday and pushed in his budget proposal. State Sen. Declan O’Scanlon (R., Monmouth) said that the state needs legislation to address New Jersey’s estimated $152 billion pension and benefits liability and that the savings the governor proposed don’t go far enough. "It's better for taxpayers if you legislate, if you want to get to the savings we want to get," he said. O’Scanlon said he backs a proposal pushed by Democratic Senate President Stephen Sweeney that calls for cutting health benefits for public workers. Murphy is aligned with unions that have rejected cuts.